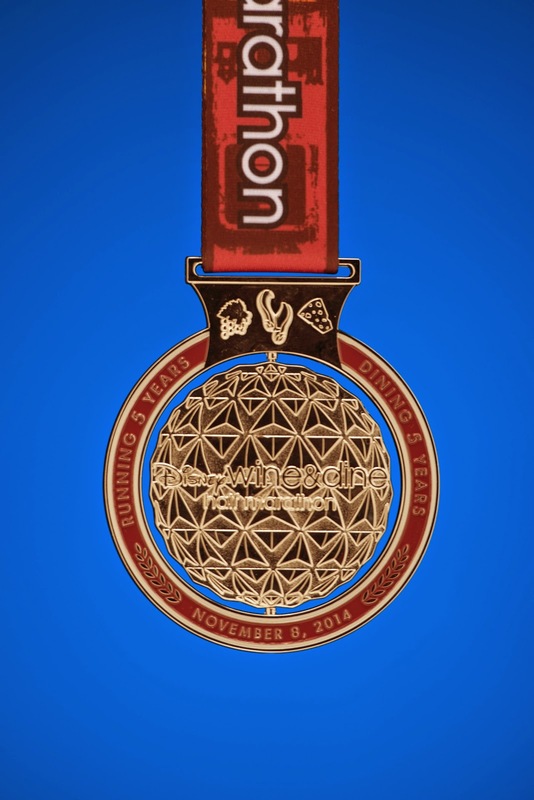 The fifth anniversary collection of the Disney Wine and Dine Half Marathon Weekend finisher medals were revealed today. 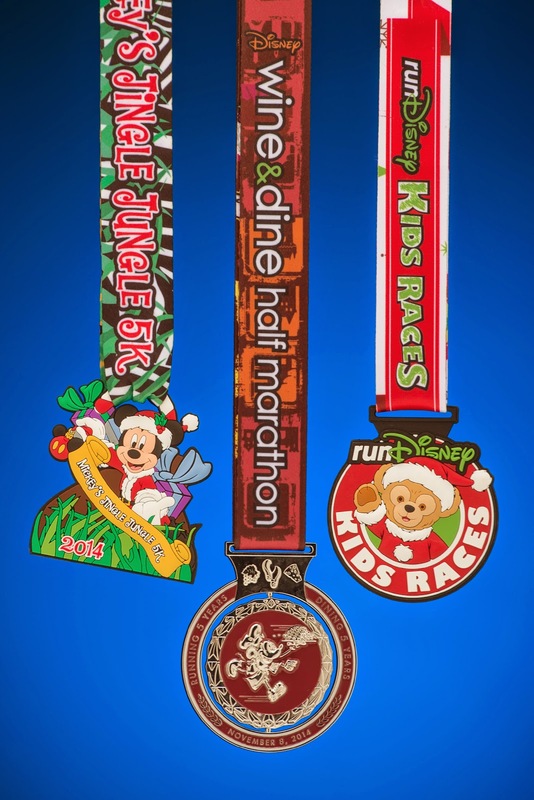 The collection includes medals for the Wine & Dine Half Marathon, Mickey's Jingle Jungle 5K and the runDisney Kids Races. 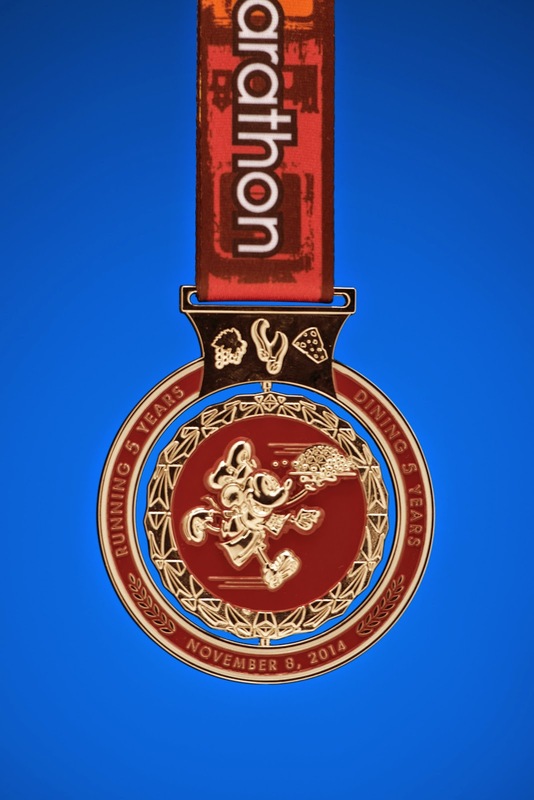 Each half marathon runner that completes the 13.1 mile race will receive a specially designed commemorative medal that has an actual spinning element. Almost 20,000 runners are registered for the race weekend that includes a sold out nighttime half marathon race that starts at ESPN Wide World of Sports Complex and winds through three Disney theme parks, ending with an exclusive Finish Line Party at the Epcot International Food & Wine Festival. 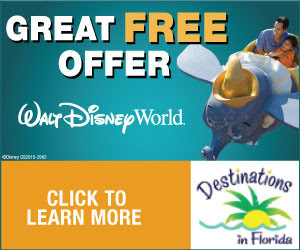 The race is Nov. 7-8, 2014 at Walt Disney World Resort with the half marathon starting at 10 p.m. ET on Nov. 8, 2014. ESPN Wide World of Sports Complex is located at Walt Disney World Resort in Lake Buena Vista, Fla. Team Martel/Crandell will be out there in full force. We hope to see you there!